FullContactPoker.com originated as an online forum for poker fans to congregate and discuss the world of poker during its explosive growth in 2004. Since then, this website has attracted thousands of forum members and a true “community” has formed- The FCP Community. FCP has become a place where you can hang out and chat with other poker fans, learn poker strategies from a top professional and many other accomplished online players and enter various community contests or exclusive promotions. 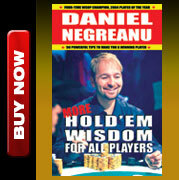 FCP’s most popular community member is Daniel Negreanu. 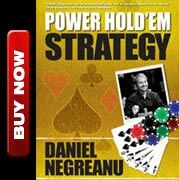 As Daniel cruised through the 2004 professional poker circuit, earning Player of the Year honors, he documented all of the highs and lows in his blog featured on this website. Daniel’s written blog has been a mainstay on FullContactPoker.com and in 2006 the site added some video blogs of Daniel and friends. Kid Poker is also a regular contributor in the FCP forums. Our mission is to provide a trusted site with excellent member service that you want to visit on a regular basis for your poker entertainment.